RUSH: So I’m watching CNN today and I’m cracking up. I literally am cracking up. 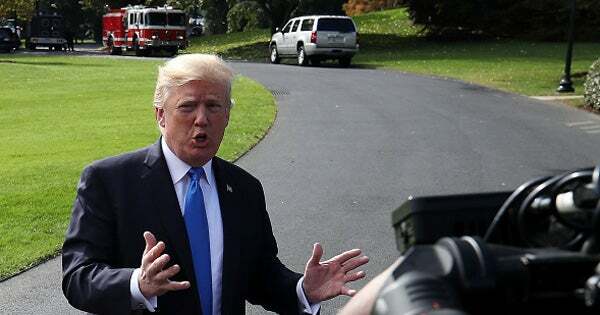 Now, I knew, I knew the Drive-By Media was gonna try to do everything they could to avoid reporting that Hillary and the DNC bought and paid for and created that crap that got turned into intelligence that was used by the intelligence agencies to try to take out Donald Trump. But I never imagined — and I should have; I’m slipping — I never imagined that they would try to turn this around to prove that Trump was colluding with Russia, and that’s what CNN is doing today. It’s so ridiculous. But then you have to stop, you have to stop and remember — do you know what the times — something like — let me get the times here that the media has spent — Greetings, folks. Rush Limbaugh here, the EIB Network. Our telephone number is 800-282-2882 if you want to be on the program. The email address, ElRushbo@eibnet.us. One thousand minutes. This is calculations by our buddies at NewsBusters. One thousand minutes have been spent — I don’t know what the time frame of this is — 2017. One thousand minutes combined focused on the Trump-Russia collusion. The Drive-By Media yesterday spent 20 seconds total on the story. Now, this is not counting the New York Times. We’re talking about cable, we’re talking about broadcast outlets, 20 seconds yesterday on cable networks about Hillary and the DNC buying and paying for the so-called Trump dossier. One thousand minutes versus 20 seconds. What this means, apparently, somebody working with Trump, Cambridge Analytica. That’s the Mercers. Apparently the dreaded and the evil Mercers attempted to call Julian Assange and say, “Hey, we’d like to see some of this stuff you’re publishing. We’d like to see some of your Hillary emails.” So CNN took that and they’re off to the races. They had Dan Pfeiffer on there. He’s a former Clinton era spokesman. Dan Pfeiffer said, “Now, we don’t know for sure that Trump colluded with Russia, but now we do know that they wanted to.” And that’s their take on this entire episode. Now, the way to look at this in truth is, if WikiLeaks has this data — and we still don’t know where they got it. The Drive-Bys are trying to tell us that the Russians hacked the DNC server and then the Russians gave the results to WikiLeaks, which then published them, started dribbling them out along with the Podesta emails from, say, August of last year all the way through the election. Now, if Cambridge Analytica or whoever the firm working with Trump, if they called WikiLeaks and wanted to see the emails, how in the world do you get that they were colluding with Russia? They wouldn’t have to call anybody to see the emails. They would have them. But this little factoid seems to escape the wizards of smart at CNN. I’m not kidding. It’s surreal. It’s alternative universe. CNN did panel after panel. They were still doing it two hours after I first saw it today, digging deep, trying to uncover every little rock and every stone to find out the evidence that the Trump campaign had indeed gotten hold of Julian Assange and asked Assange if they could see some of the Hillary emails that WikiLeaks was publishing already. Now, apparently Assange — WikiLeaks — told Cambridge Analytica, “No way. We don’t share stuff. You can read it on our website. Why should we give it to you? It’s right there on the website.” So this little thing is being blown up to cover up the fact that Hillary… We now have people raising serious questions of treason, severe violations of federal campaign law — federal election law — by funding this kind of thing. But that’s not the real concern. I mean, all those are real concerns; I still don’t see Hillary Clinton going to jail. Although there are people writing today that say if charges are ever brought, a conviction would not be that difficult and that jail time is a feature of the sentencing for this kind of crime. But how many of you actually think Hillary Clinton’s ever gonna go to jail? I mean, how many of you want to see it? “Lock her up! Lock her up!” I can see your hands being raised. “Lock her up! Lock her up!” But really. The real danger here — the real injustice here — is that this phony, fake, plastic banana, good-time rock ‘n’ roller collection of crap was used by our intelligence agencies as the basis of an investigation into Trump collusion. It is the most outrageous thing. Not only is CNN doing stories on how this “proves” that Trump wanted to collude, we now have the various other Drive-Bys (I’ll have examples for you here in mere moments) saying how the Republicans are also responsible for it or, “It’s no big deal anymore because we’re so far beyond this that the Trump dossier is irrelevant. It doesn’t matter. There’s nothing to see here.” The Drive-Bys have their own takes. 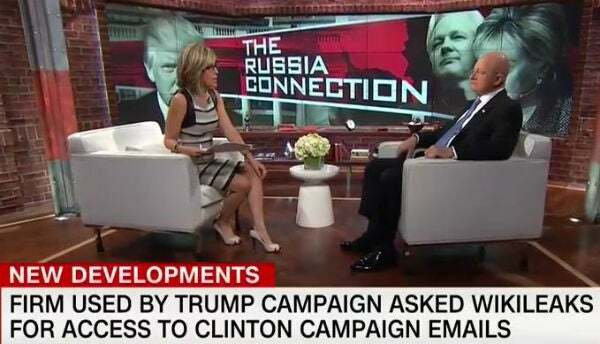 RUSH: “Assange: Trump-Tied Firm Sought WikiLeaks’ Help Before Election.” This is CNN doing everything they can to deflect. 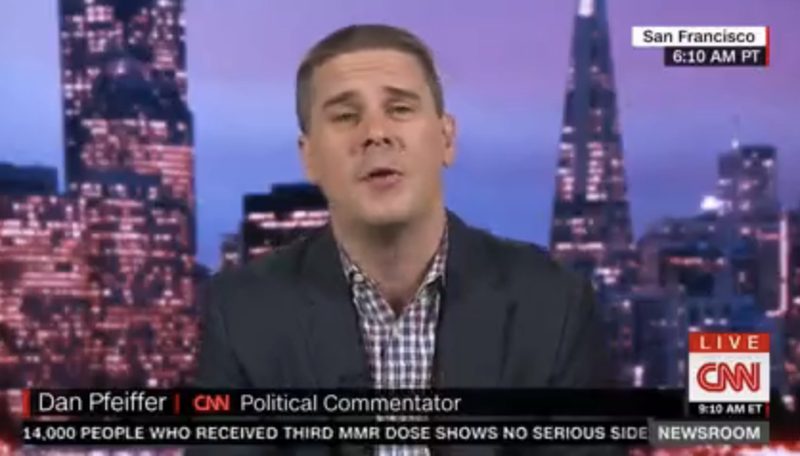 They had Dan Pfeiffer on there today, “We don’t know if Trump colluded with Russia, but we now know they wanted to.” Because somebody got hold of WikiLeaks representing Trump, supposedly, and asked to see some of the Hillary emails. So what? All that proves is there wasn’t any exclusion. But we don’t even need that. Folks, the idea that there was collusion is one of these giant hoaxes that unfortunately is sort of baked into the culture now. It’s been part of the news every day for a year. I mean, not just part of the news; it has been the news for a year. So it’s just baked in. And the whole thing, the whole thing is manufactured and made up. Now, let’s tour some of the media to see how they’re trying to defend what Hillary and the Democrat National Committee did. The first one is from Kenneth Vogel, one of the New York Time reporters who said on Twitter they were lied to by Hillary’s lawyer. This is Marc Elias, and he lied to them for more than a year. And Maggie Haberman writes for the New York Times. She unloaded on this guy a couple days ago, and her story made it look like this is why they finally unloaded because they got tired of being lied to. Marc Elias lied to the New York Times for over a year, but it doesn’t seem to have fazed Kenneth Vogel since he’s doing everything he can in the article to spin things for Hillary. The piece is, “What to Know About the Dossier of Trump Research and Who Paid for It.” Who paid for it? We already know that Clinton and the DNC paid for it, but now they’re trying to bring in this rogue Republican. Trump says he knows who it is, and I think I know who it is. But there is a rogue Republican that also tried to pay for some of this stuff during the primary. So they’re trying to link that to Hillary and the DNC contracting for this dossier. The Republican involved didn’t have anything to do with its creation. Hillary and the Democrat National Committee — this is a work of art that they commissioned. It’s a work of BS that they commissioned. So they end up asking at the New York Times, does it matter who paid for it? They say it depends on your politics. So you see now, as the New York Times, after they unload on her, now they’re trying to walk it back a little bit and spread this around to both parties. “Does it matter who paid for the dossier?” At Slate.com: “The reality is that the Russia investigation … has progressed far beyond the dossier and it’s not altogether clear what role it played in informing the investigation. Special Counsel Robert Mueller, for instance, is building a legal case against Trump and his associates and the dossier is surely not a foundational part of that effort.” Oh, but it is. It always has been. It was the starting point. Slate either is completely ignorant about this or is lying through their journalistic teeth. Do these people not remember Brennan? Brennan, it was during a TV interview, and I forget what network but I’m gonna guess CNN ’cause I don’t watch MSNBC ever at all. I can’t tell you the last time I had that cable network on. I mean, it’s been years. And the only time I watch CNN is here when I have it on the top monitor here. But I never even listen to it. But I certainly remember seeing this. John Brennan, the CIA director, telling everybody in this interview that this dossier formed the basis — that’s an exact quote — the basis for him beginning his investigation. It formed the basis. That’s what’s so tremendously wrong about this. It’s a collection of lies that was written by commission, somebody, Hillary ordered this to be written. And the intelligence agencies in this country, run at the time by Obama people, used this dossier, which was fake and phony, but they treated it like legitimate intelligence. This is the genuine outrage over this. This is the real, real outrage over it. I mean, the fact that somebody would tell lies about a candidate, that’s not news. That’s not earth shaking. That’s not unprecedented. But this is. To pay $9 million to have an elaborate hoax written and created, to have it make it look like it is the result of deep intelligence gathering. And then it is presented to the CIA and the FBI and to John McCain, and those elements treat it as serious intelligence and began a full-fledged investigation, which in the process ruins several people and comes close to ruining others. All the while, it is nothing more than a 100 percent hoax. NUNES: When you plead the fifth and then you go to court to try to block us from getting the information and then it gets leaked to the Washington Post that the DNC and the Hillary campaign paid for this, I think we have problem. Now I think the next focus is gonna be on whether or not — did the FBI use this dossier to get any warrants? Did they use it to open up a counterintelligence investigation? And if they did, if they’re using unverified information to open up inquiries into American citizens, I think we have a big problem. RUSH: A huge problem, a big problem. This is no different than a presidential candidate being able to make up anything she wants about a candidate and then take whatever she makes up to the director of the CIA and have him begin a thorough investigation of the claims totally made up that goes on and on and on for a year, that then features anonymous sources leaking drivel to the Drive-By Media. That’s essentially what happened here. A presidential candidate — I don’t care if it was her surrogates, I don’t care if she did or didn’t know; I don’t believe she didn’t know. This is the kind of thing the Clintons do! This is the kind of thing the Clintons are proud of. This is exactly the kind of work product you would get out of the Clinton war room. So they make up, not just anything, they make up, after the election — well, they added to it after the election. They make up the fact that Trump campaign is colluding with Russia, not just to win the election, but they are colluding to do great damage to the American democratic process. Think about all the allegations that have been made here. And Hillary Clinton and her campaign were simply allowed to farm out making up everything that was in this so-called dossier. And then they were able to eventually get it to the CIA and the Director of National Intelligence who treated it as real. Nunes is exactly right. And if this was used, unverified, made-up information, to open up inquiries into American citizens, we have a huge problem. 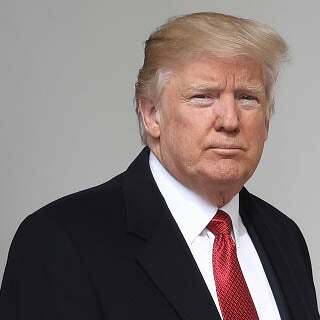 It meant that Hillary Clinton and her campaign were willing to destroy whoever necessary in order to pull this off, to make people think that Trump actually had colluded, that Trump actually was a traitor, that Trump was actually seeking to undermine the United States of America and its democratic electoral process. The CIA has obviously been corrupted if the director doesn’t demand evidence, if the direct says, “Oh, man. What an opportunity we’ve got.” And if he starts running with it as though he’s nothing more than a political hack — which he is — and James Clapper, director, national intelligence, and whoever else they brought in on this. More Nunes. Well, I want to reiterate what he said. The next bite is not Nunes. I thought it was. He continues to point out here that the use of this information to open up a counterintelligence investigation, meaning start digging into their own intelligence investigation. If they got FISA warrants, look what using this document allowed them to do? Pry open the deepest parts of citizens’ private lives, all for the purpose of getting rid of the duly elected president. CLAPPER: I think the counterintelligence investigation was launched before the, uhh, revelation of the uhh, dossier. CLAPPER: The dossier would be a part of this, uhhh, counterintelligence investigation that was already underway — which, of course, was buttressed by our intelligence community a-a-assessment in the first place. Uh, and that was a — a challenge for us, I suppose, at the end. We just ran out of time as to whether or not, uh, the allegations — particularly the salacious ones — could be rebutted or, uhh, confirmed. RUSH: They’re in total cover-up mode now, folks. Clapper is trying to muddy the water here, saying, “Well — well — well, we used the dossier to spy on Trump,” and they’ve been caught. That’s what he’s trying to say here. But let’s parse this. “I think the counterintelligence investigation was launched before the revelation of the dossier.” The dossier, that’s gonna be tough. That dossier was floating around Washington all summer last year. That dossier was being used before it was officially being used, if you get my drift. It was makin’ the rounds. It was a political ploy. These people are political hacks! That’s what’s wrong here. They’re all Obama political hacks, and they were all in on the effort to use this and try to create the notion that it was deeply mined, legitimate intelligence that mandated these investigations. Why? For the protection of our beloved democracy! Which they were trying to undermine. “The dossier was part of the counterintelligence investigation already underway buttressed by our intelligence community assessment in the first place.” It was all wet! There is no evidence! They don’t have anything, is the point here. 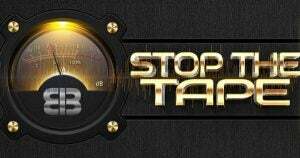 RUSH: Stop the tape! You have had the thing for over a year! You don’t know? You’re the Director of National Intelligence. You don’t know if it’s true or not? This is political hackery. Resume tape. CLAPPER: I don’t know that. Uh, when we did our intelligence community assessment, we were aware that there had been research done and that some Republican candidates, as a matter of fact, had — had contracted through, I think, Fusion GPS to obtain, uh, what later became what’s known as a dossier. BURNETT: So Clinton paid for part of it but it had been started and paid for by Republicans. Okay. RUSH: Stop the tape! The Republicans didn’t start diddly-squat! So here’s Erin Burnett… She’s smarter than this! I’m telling you, everybody on the left has been corrupted beyond, I think, even their own awareness! She just said here, “So Clinton paid for part of it but it had been started and paid for by Republicans.” The Republicans didn’t start anything here! And here’s Clapper saying (impression), “Well, I don’t know if it’s true. I don’t really know.” He’s only the Director of National Intelligence, and they’ve only been trying to… This is the point. None of it’s true, but they’ve been using it as if it is. That is the point. And they will never admit that. So all of this is obfuscation, trying to cover up what these clowns have done.l Actually, keep it running. RUSH: Whoa, whoa, whoa, whoa, whoa! Nothing was handed off to the Clinton campaign the DNC. They paid for it. Now he’s trying to make it look like the dossier was out there and it kind of wrote itself, this intelligence guy, this Christopher Steele — and then he gave it to the Republicans because they had paid for it and then eventually it made its way to the DNC. This… Folks, I’m trying really hard to maintain any composure here. Richard Nixon could have practiced for two years and not been able to slither through this like Clapper’s doing. Keep it rolling. CLAPPER: — from other sources which we had very high confidence of. BURNETT: So when the president refers to it as “fake dossier,” that is false? CLAPPER: I don’t think (snickers) that is the accurate characterization for the entirety of the dossier. “Some of the substantive content of the dossier we were able to corroborate in our intelligence community assessment which from other sources which we had very…” What an absolute crock! But this is what they’re doing to try to cover it up. This is what they’re doing. Now, they’re not protecting Hillary. They’re protecting themselves. These are supposedly independent-minded intelligence professionals working to save the country from attacks, not advance the Obama agenda. What a laugh that is! RUSH: So you probably wouldn’t be surprised to see that CNN had a panel last night blaming both sides for funding the dossier. You just heard Clapper and Erin Burnett. That was embarrassingly wrong. That was just embarrassingly so uniformed. All of this… They’re making fools of themselves. 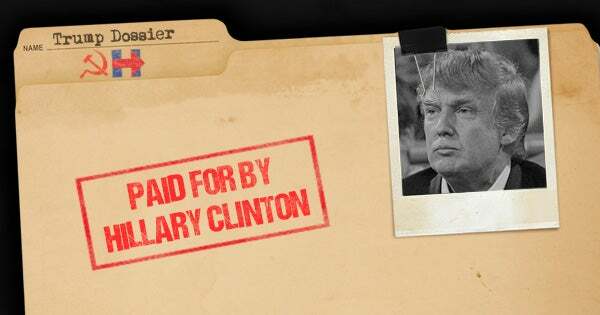 Slate: The Clinton Campaign Reportedly Funded the Salacious Trump Dossier. Does It Matter?